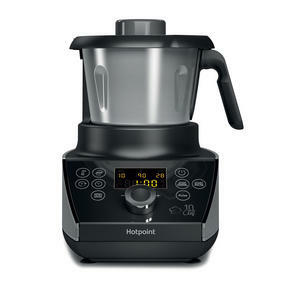 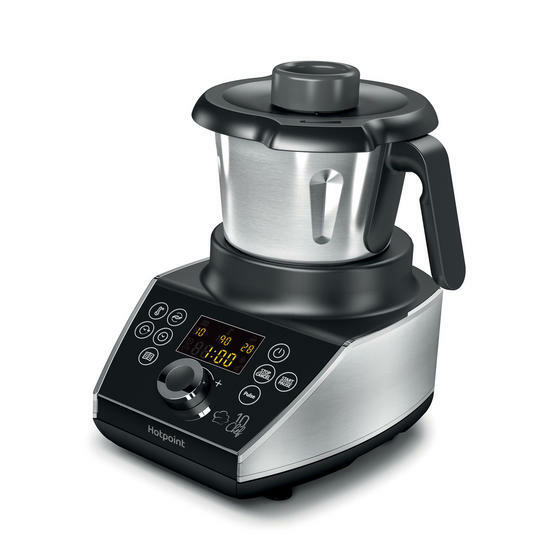 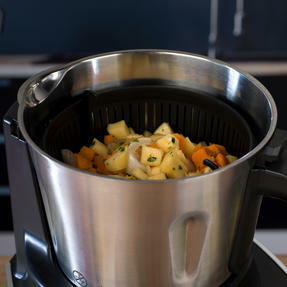 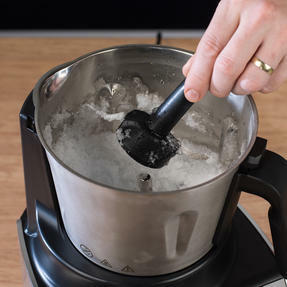 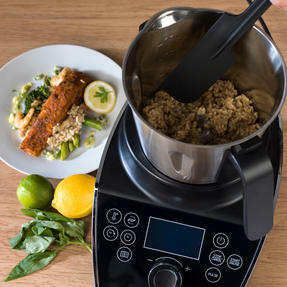 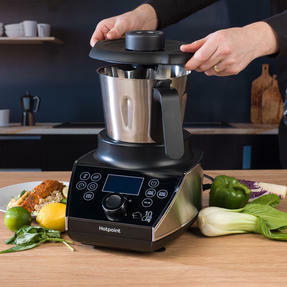 The multifunctional 10 Chef from Hotpoint lets you easily cook, steam, boil, blend, emulsify, whip, shred, stir, knead and crush using a single handy appliance. 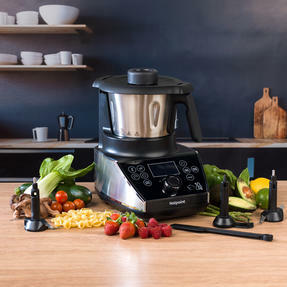 This powerful 570 W unit features a generous 1.5 L cooking bowl, making it ideal for cooking hearty meals for the entire family in no time at all. 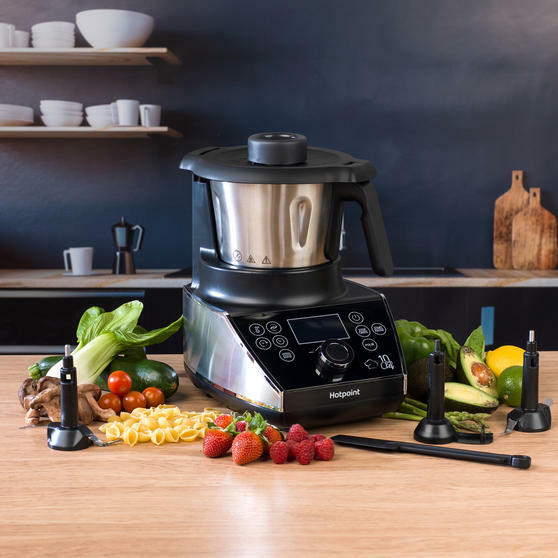 Dishwasher friendly and equipped with 15 versatile presets covering a range of dishes and cooking methods, this user-friendly multi-cooker would be a welcome addition to any modern kitchen. 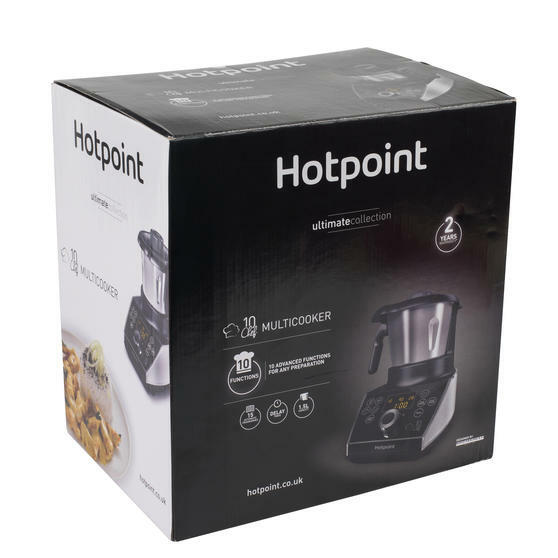 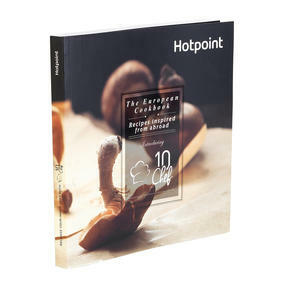 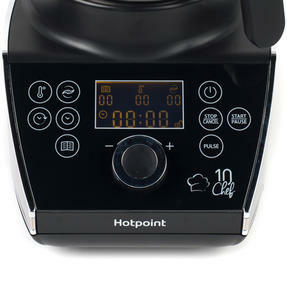 The Hotpoint 10 Chef features 15 unique cooking presets, which have been specially designed to deliver quick, great-tasting results. 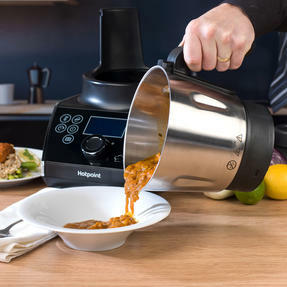 With a 1.5 L cooking bowl made from durable stainless steel, it lets you make up to six portions at once for maximum convenience. This indispensable set features a versatile standard blade, as well as serrated ice crushing blade, mixing paddle and steaming rack. 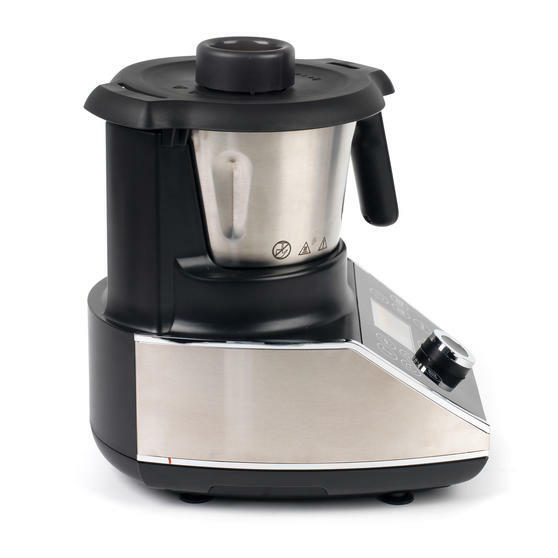 It features an easy-to-use touch dial control and delay timer function, allowing you to perfectly time meals for when you get home. A fantastic 300 page recipe guide full of delicious meal ideas is included to help you get started using the 10 Chef right away.